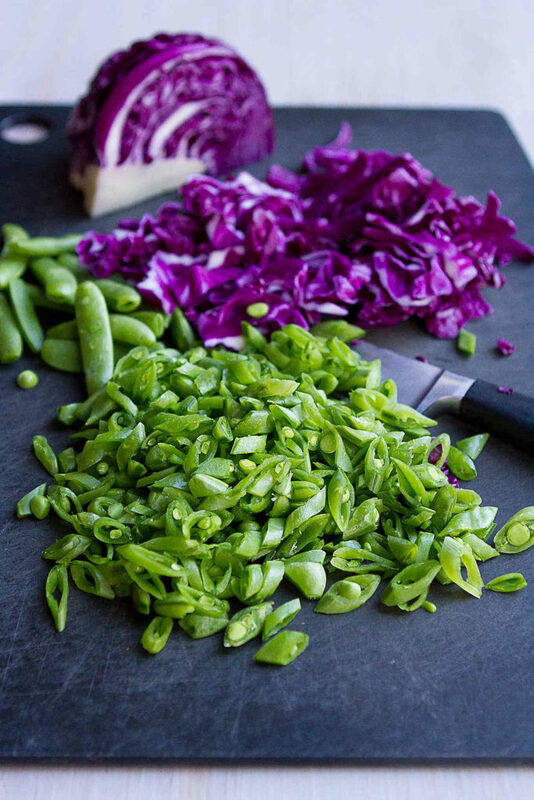 Have you ever made a slaw with snap peas? 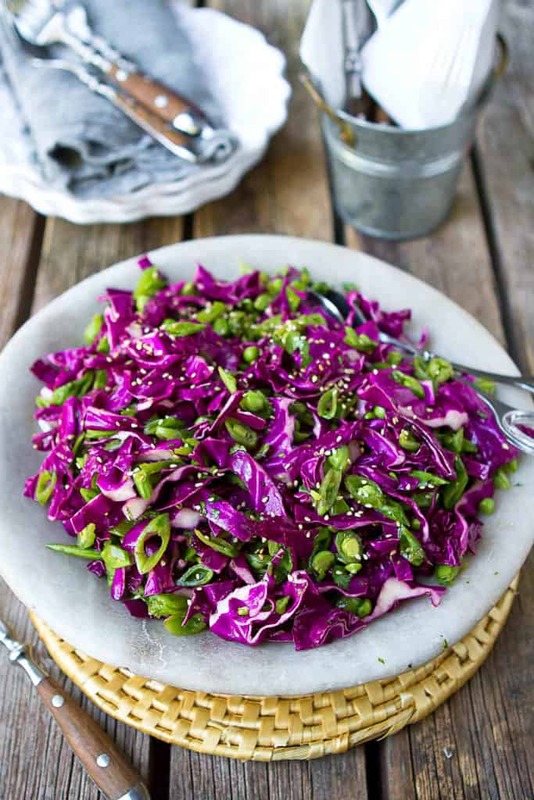 Bursting with flavor and color, this Hoisin Snap Pea & Red Cabbage Slaw is fantastic on its own or piled on sliders or tacos. 85 calories and 2 Weight Watchers Freestyle SP. 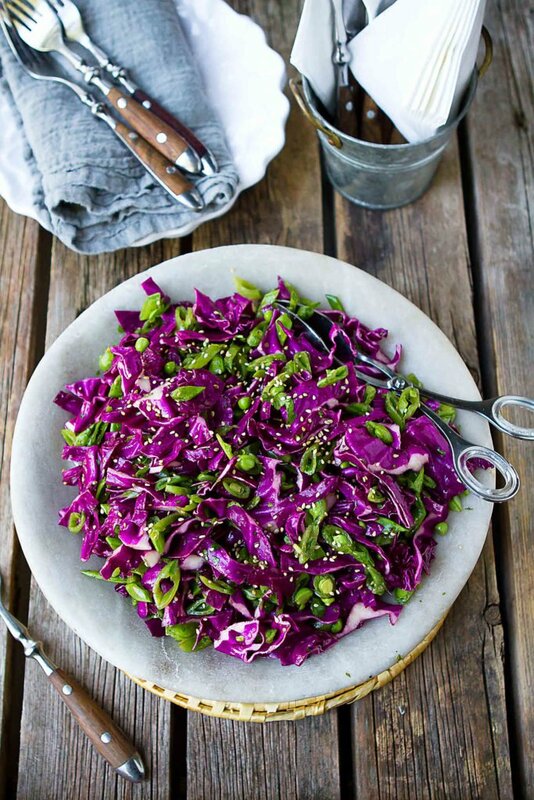 Red cabbage slaw is endlessly versatile. 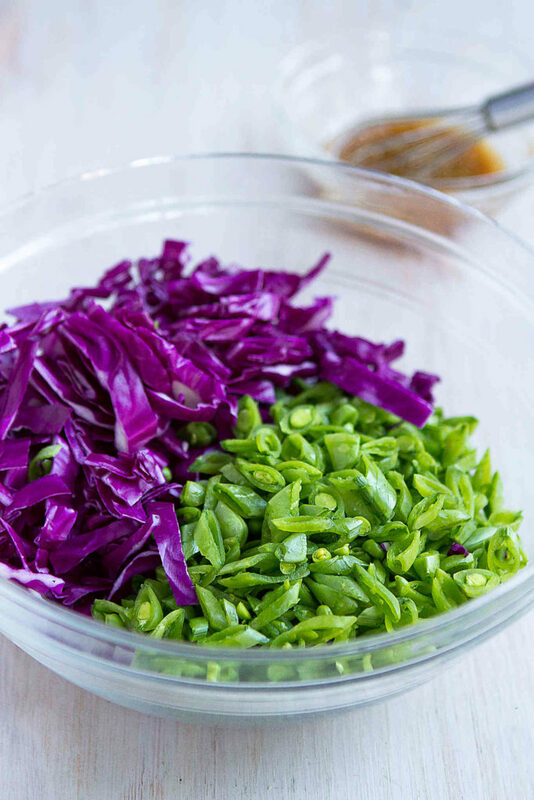 Whether you use an Asian-inspired slaw dressing, like this hoisin dressing, or a honey lime or a dill yogurt version, it can be served as a healthy side dish at your summertime barbecue or used as a topping for teriyaki tacos or lean hamburger sliders. 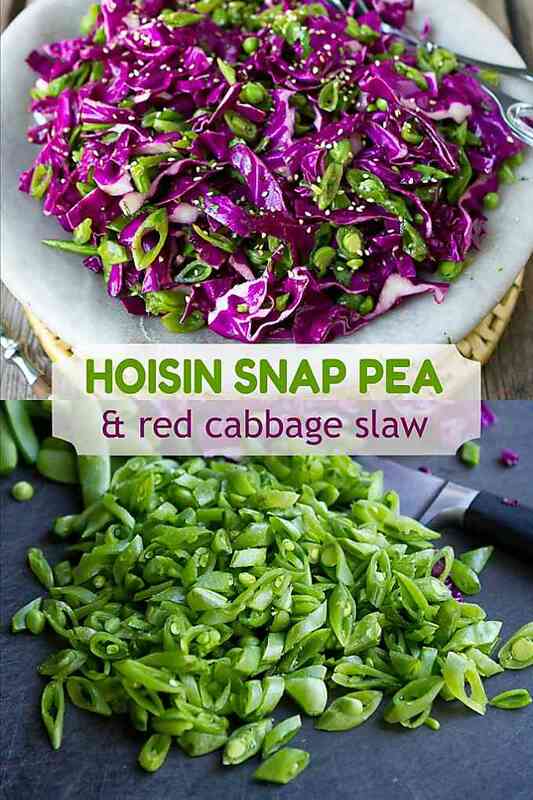 And if you love snacking on raw snap peas as much as my family does, you’re going to love this fun twist on your standard slaw recipe. The snap peas are trimmed, then sliced thinly on a diagonal before being tossed with the red cabbage and super simple hoisin dressing. 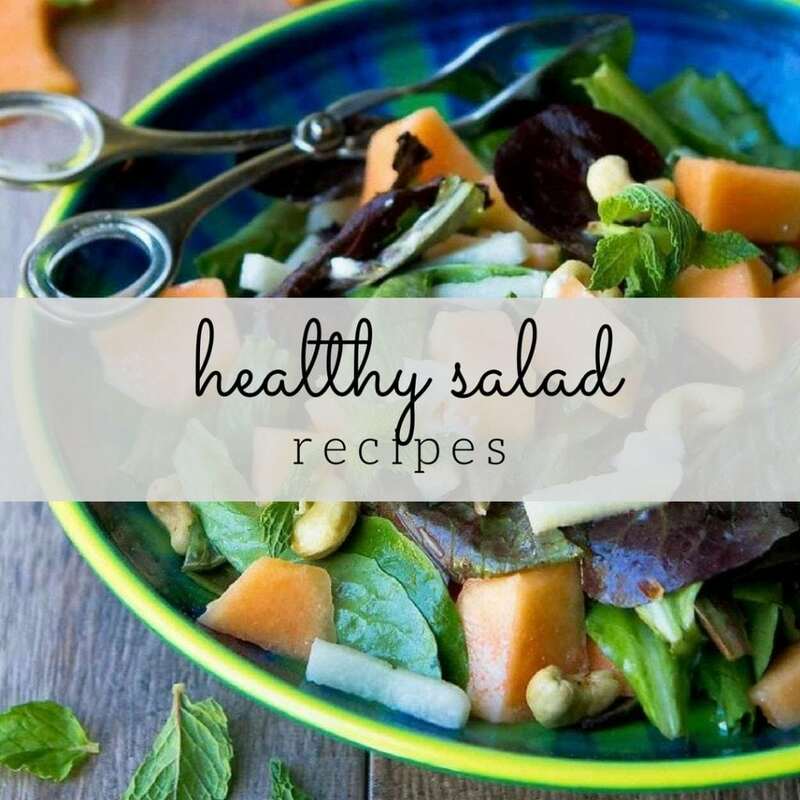 The dressing is vegan and can be made gluten free by using gluten free hoisin sauce. For red (purple) or green cabbage, start by removing any browned or floppy leaves. Next, cut it in half through the root, then cut it into quarters. Using a sharp knife, cut around and remove the entire core. You don’t want any of the hard, woody core to end up in the slaw. Last, thinly slice the cabbage crosswise. For Napa cabbage, start by removing any browned or floppy leaves. Next, cut into quarters through the root. The core typically doesn’t extend into the inner section of the leaves, so there’s no need to remove it. Last, thinly slice the cabbage crosswise and discard the root/core. Snap peas: Using a small, sharp knife, remove and discard the ends and string from each snap pea. Thinly slice each snap pea (including the peas inside) on a diagonal. Red cabbage: You’ll just need half of a red cabbage for this recipe. See instructions above for slicing the cabbage. Green onions: Thinly slice both the green and white sections of the green onions. Cilantro or parsley: I prefer cilantro for this slaw, but if you’re not a fan, feel free to substitute with flat-leaf parsley. Hoisin sauce: This can be found in the international aisle of most grocery stores or on Amazon (affiliate link). 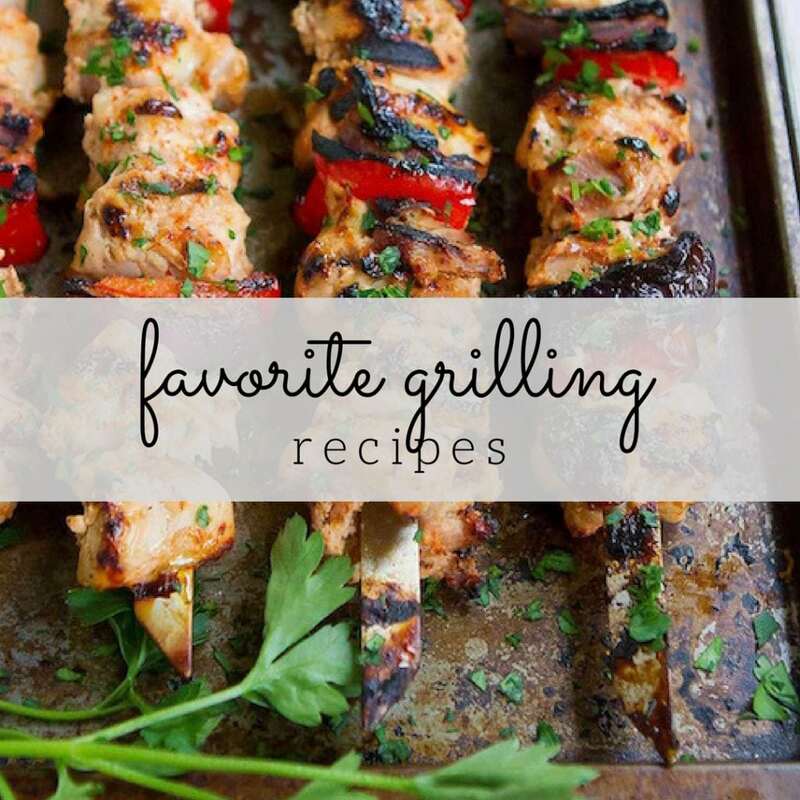 If you’re following a gluten free diet, be sure to use gluten free hoisin sauce (affiliate). Rice vinegar: Find it in most grocery stores or on Amazon (affiliate link). Sesame oil: A little goes a long way! I store the bottle in the refrigerator to stop it from going rancid since I don’t go through the bottle quickly. Find it in most grocery stores or on Amazon (affiliate link). Toasted sesame seeds: If you have raw sesame seeds, lightly toast them in a dry skillet set over medium heat. Watch carefully because those little suckers like to burn! I keep a container of pre-toasted sesame seeds on hand, which can be found in most grocery stores or on Amazon (affiliate link). I could eat this for days on its own, so it makes a fantastic side dish for entrées like one of our favorite recipes, Slow Cooker Hoisin Chicken, Seared Ahi Tuna or Soy Honey Salmon Meatballs. Pile the hoisin chicken or slow cooker teriyaki pork onto mini whole wheat buns and top with some of the red cabbage slaw. Asian-inspired sliders! Substitute the red cabbage slaw for the jicama cucumber slaw in these Teriyaki Shrimp Tacos. Slice the snap peas thinly on a diagonal and transfer to a serving bowl with the red cabbage, green onions and cilantro (or parsley). 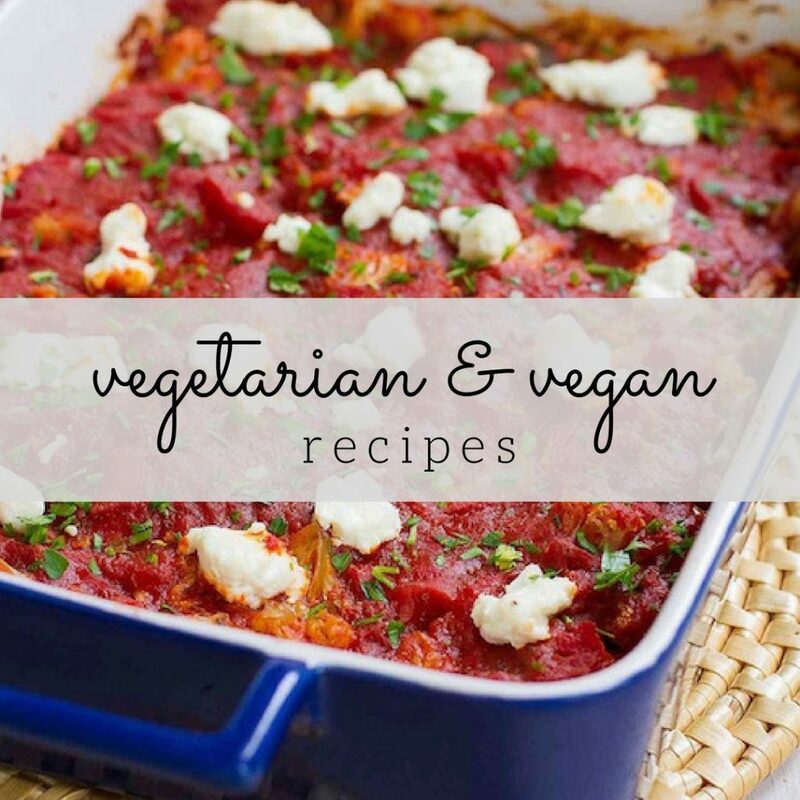 In a small bowl, whisk together the rice vinegar, canola oil, hoisin sauce, sesame and sesame seeds until combined.